We service a very unique niche that was once serviced by major lenders. The aftermath of the 2008 recession made banks abandon many of their loan products. One specific type was the owner-builder construction loan for individuals who wanted to build their own home. In the fall of 2010, when home construction began to rebound for building companies, so did owner-builder construction. Unfortunately, owner-builders seeking financing had few options. Recognizing this void, in 2011 we founded Owner Builder Loans, LLC, a specialty niche lender. Staffed with seasoned construction loan experts, we structured a construction loan program geared exclusively for owner-builders. Our foresight has proven to have been underestimated. We have been funding at peak capacity and until we raise more capital, many opportunities will be lost. This need is what gave birth to our investment. It is a 12-month promissory note that pays a fixed interest rate currently at 10%. After 12 months, your investment is returned with interest. It’s that simple. 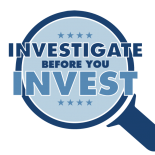 With so many investment options in the marketplace, finding the right one for you can be very difficult. One distinction that sets us apart from many others is that when you make an investment with us, you only invest for 12 months and you know exactly what your return will be. Let us help you add diversity to your financial portfolio with an investment with Owner Builder Loans, LLC. Not only will you be rewarded with a high interest rate return, but you will also know exactly how your investment is being used: helping us help others who want to build their own home. THIS DOCUMENT DOES NOT CONSTITUTE AN OFFER TO SELL OR A SOLICITATION OF AN OFFER TO BUY ANY SECURITIES IN ANY JURISDICTION TO ANY PERSON TO WHOM IT IS UNLAWFUL TO MAKE SUCH AN OFFER OR SOLICITATION IN SUCH JURISDICTIONS. OFFERS TO SELL AND SOLICITATIONS TO BUY MAY ONLY BE MADE PURSUANT TO OUR CONFIDENTIAL PLACEMENT MEMORANDUM DATED JANUARY 7, 2017, AS STATED THEREIN. To receive a free copy of our Private Placement Memorandum, please contact us.